The Jacksonville Beaches stretch from the Atlantic Ocean on the East, to the Intracoastal Waterway on the West. This costal stretch that has gone through a major Real Estate boom in the last 10 years. Up until recently, Jacksonville Beach was one of the only coastlines of a major metropolitan city that lacked oceanfront condominiums. This has changed since the turn of the century, and Jacksonville Beach is now lined with multiple sky rise luxury oceanfront condominiums. Jacksonville Beach Home prices have soared in the last decade, as savvy investors came in and restored and updated a large majority of the older homes in the area. 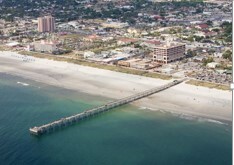 Grouped in with the Jacksonville Beaches area are sleepy Neptune Beach and quirky, quaint Atlantic Beach. Neptune Beach is a small stretch of land less than one mile long, with a much more private feel than Jacksonville Beach. 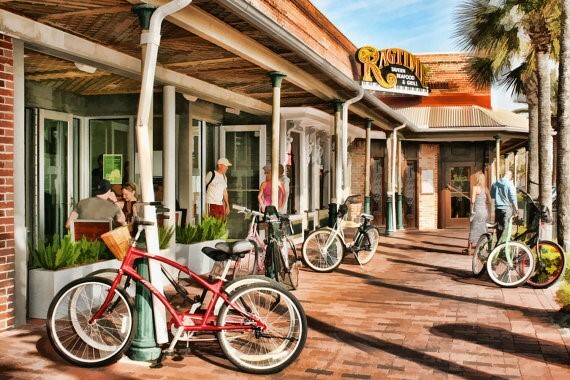 Atlantic beach is located directly at the corner of Atlantic Blvd and 3rd street where you will find unique and eclectic local shops and diners as well as hotels and restaurant with live entertainment most days of the week. Both Neptune and Atlantic Beaches have a unique laid back Florida feel and boast activities for all ages. Homes and Real Estate in Atlantic Beach are typically more expensive than Jacksonville Beach, with prices typically starting in the High $200's.